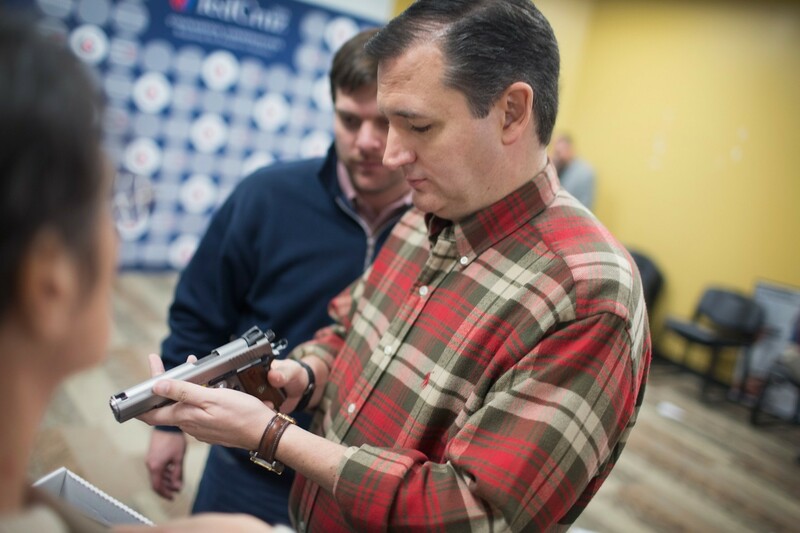 In the wake of recent terror attacks from Paris to San Bernadino, the Republicans are arming themselves for battle. While the Democrats repeat their pleas for gun control laws, the Republicans call for citizens to take the law into their hands by protecting themselves with more weapons. Welcome to the Wild West. With each tragic event we are retreating to a mentality of fear, a hatred of the other, and a desire to take action with ubiquitous weaponry: everywhere, everyone. The terrorists are winning, and we are helping them win. They want us to cower, to hate, to take up our weapons: to live in fear of the Muslim. Their objective is to catalyze hatred in the West. With each escalation of division between East and West, they find justification for Jihad. As Ted Cruz or Donald Trump ratchet up the rhetoric concerning immigration, while the politicians brandish and load their weapons, as they blame the Islamic religion for the barbarian attacks on the innocent, when they rally the people to take action against Muslims, we are playing right into the hands of the terrorists. The idea of Jihad is to instill fear in Americans, to fire up hatred. And yet, retaliation against those who practice Islam who have nothing to do with fundamentalist intolerance makes no sense at all. Would we take action against all Christians because of the extremist actions of those who have targeted Planned Parenthood? Ted Cruz vows that after he is elected president, any “lunatic” or “jihadist” who attempts to harm innocent Americans will “encounter the business end of firearms.” Cruz is an equally dangerous Christian extremist who is calling on citizens of the West to be armed and prepared for an epic religious battle, a resounding trumpet call that evokes the crusades of the middle ages. Jeb Bush, among others, has declared the onset of World War III, which must bring no end to the delight of the fanatics who are instigating the attacks, whose intent is for the world to become increasingly divisive on all sides of the religious borders. The argument against Cruz’ destructive thinking is found in the words of Mahatma Ghandi who said: “An eye for an eye makes the whole world go blind.” There is a better way to bring an end to this violence and we must have the courage and the wisdom to find it: far, far from the saloon brawls and Western shootouts ingrained in the American DNA.